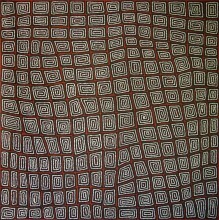 completely nomadic life until they emerged from the desert, coming to Kiwirrkurra in 1984. 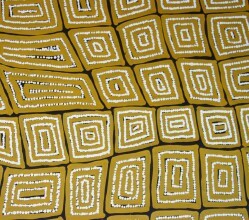 They were named "the Last Nomads" or "the Pintupi nine", the family group had had no contact with western society until this point. 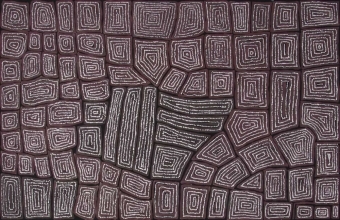 Astoundingly, he transitioned from an utterly traditional lifestyle to commencing as an artist within a matter of a few years and painting the traditional stories of his people. 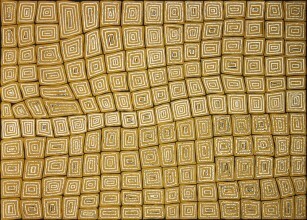 Thomas and his brothers Walala and Warlimpirringa, have exhibited widely in almost all aboriginal galleries in Australia and overseas. 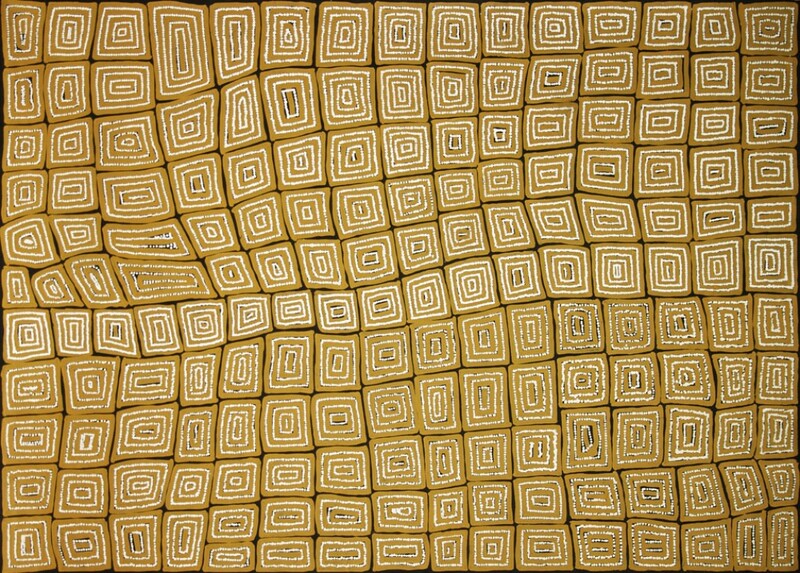 Hank Ebes Collection, Melbourne, VIC. 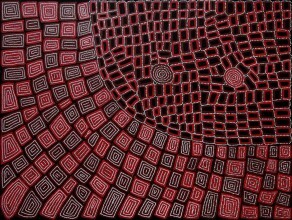 Thomas's work depicts the stories of the Tingari cycle. 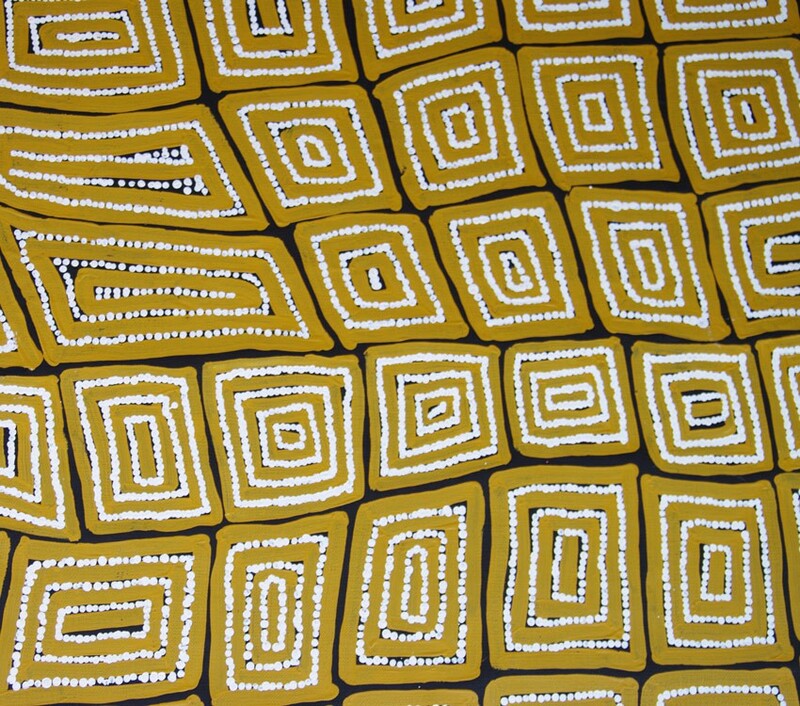 Tingari are the legendary beings of the Pintupi people that travelled the desert performing rituals, teaching law, creating landforms and shaping what would become ceremonial sites. 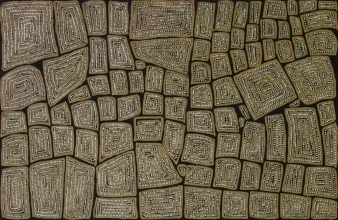 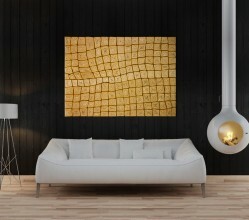 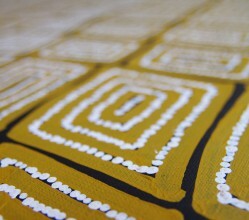 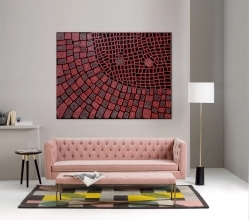 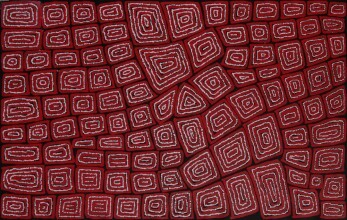 The meanings behind Tingari paintings are multi-layered, however, those meaning are not available to the uninitiated.